By now nearly everyone in the business world has heard the saying, “Data is the new oil.” It’s a picturesque metaphor that caught the public imagination, and in many ways it fits. Big Data and enterprise analytics have certainly proven to be profitable for service providers. Earnings from the combined industries are growing at an average rate of 11.7% a year. IDC predicts global data revenue will reach $203 billion by 2020. Humby raised an excellent point. Gathering data for data’s sake does nothing to “drive profitable activity.” Worse, it wastes resources that could more effectively used elsewhere. Even passively collecting data incurs storage fees. Corporate spending on cloud storage in 2016 alone was nearly $40 billion. This number doesn’t include the cost of sanitizing and maintaining data. The 11.7% revenue growth mentioned earlier refers to companies selling big data and analytics solutions, not companies using them. That’s not to say there’s no profit to be found in using data. On the contrary, increasing data utilization is one of the single most profitable steps a company can take. A mere 10% boost in data accessibility can net the average Fortune 1000 company an additional $65 million in annual income. Even smaller companies benefit from a data-driven approach. Those who use data to inform their business strategy consistently see a 5% boost in productivity and 6% more revenue than those who rely on gut instincts. Why Aren’t More Businesses Data-Driven? The benefits of using data is well-established- yet while 85% of corporations have begun trying to incorporate data into their business strategy, barely one in three say their big data venture has been a success. People, not technology, are holding these projects back. According to the 2017 NVP Big Data Executive Survey, most big data and analytics projects fail because of organizational resistance, lack of understanding among the senior leadership, and misalignment with organizational goals. This reflects a worrying trend. Companies know the value of data, but because they don’t see the big picture. They lose steam part way through implementation. The loss of direction virtually guarantees failure. To avoid project collapse, executives need to shift their focus. Rather than collecting data and looking for useful nuggets to drop out like gold, treat raw data like the oil it’s so often compared to. Crude oil has to be refined before it’s used. More importantly, its intended purpose (petrol, diesel, paraffin, etc.) affects how it’s processed. Data refinement is done using artificial intelligence and machine learning software instead of a refinery, but it still needs direction. Outline pain points and desired areas of growth that your organization would like to address, then apply the analyzed data to those specific business problems. In this way data-smart companies can maximize their data usage and gain an edge over their more abstract competitors. 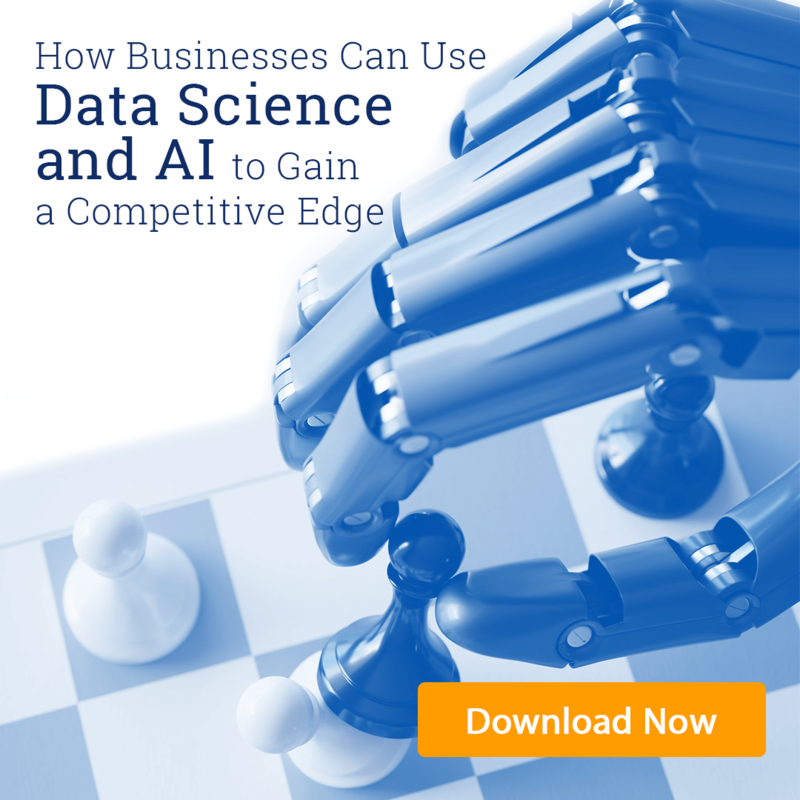 If you’re not sure where data fits into your corporate goals, download Concepta’s free white paper “How to Turn Your Company into a Data Science-Driven Enterprise.” This detailed resource will outline how companies are using data to improve efficiency, plan for the future, and boost customer satisfaction.